Does fibromyalgia occur as a result of an anxious mother who could not easily handle stress/anxiety because she was not herself exposed to enough testosterone, thereby depleting the fetus of ‘enough’ testosterone ? If this fetus had more exposure to testosterone would she then be more qualified for the more mechanically oriented occupations like science and math, as has been suggested? A Google controversy has brought forth arguments from both sides regarding sexism versus science. The neuroscientist Debra Soh, writing in the Globe and Mail, August 9, 2017, A11, states: “Contrary to what detractors would have you believe, women are on average, higher on neuroticism and agreeableness , and lower in stress tolerance”. My initial reaction, given the state of the world in 2017 was that women and highly sensitive men, are indeed more anxious and less able to effectively handle the chaos and instability which men (mostly) with high levels of testosterone have created. One need only to watch the news to notice the continued presence of men raising havoc in the world. What has testosterone levels done to those of us with low levels of the hormone? Are we, in general, neurotic, anxious and passively agreeable as Soh suggests? Has that resulted in syndromes of medically unexplained syndromes (MUS) such as fibromyalgia, Chronic Fatigue Syndrome, and PTSD to name a few? Did we develop these syndromes because we have less testosterone or is it because we cannot tolerate the ways in which we women, visible minorities, the LGBTQ, the poor and other disadvantaged groups are being treated? It may be these conditions are the result of both a nature/nurture issue, but seriously, is it because we have less testosterone as a result of our mothers not being exposed to enough of it? There are more questions than answers. I never thought of this. I started working out with weights and am into weight training now for the past 2 years. My fibromyalgia went away completely but I do notice I am sensitive to stress…which would be my husbands crazy busy lifestyle which gets imposed upon me. I feel myself getting so angry but saying nothing about it till I explode or retreat to my room. He doesnt listen when I say your going to fast for me I cant live s pressured life. So I stopped telling him and have learned to disengage myself from him. That has helped me tremendously. I think the weight traing gave me more self awareness and self confidence to take care of my needs first and it also made me have to prioritize my needs because I train every day and need to eat healthy so I focus on me and my needs. I am surprised that nobody has made the connection. The answer as to why fibromyalgia is more prevalent in women and sensitive men is simply that: because fibromyalgia results from anxiety, from repressing one’s emotions and anger because we think it’s the most decent and acceptable thing to do. Fibromyalgia is pain which manifests itself when we give no other outlet to our rage and negative emotions. Good and sensitive people tend to do this. There is no complex explanation behind it. And yes, if you exercise and show your body that it can work well even if you have fibromyalgia pain, then the pain will disappear – because you are challenging your mind, by exercising despite the pain. That is how I cured mine, by acknowledging that my feelings of rage and anxiety were responsible for the pain, and by BELIEVING that there was no other structural or scientific reason. And also by resuming all physical activity, gradually until I felt convinced that I could really do anything. People who don’t get cured fail because they believe that there must be a genetic/hormonal or structural reason for their pain – when there isn’t. And please don’t tell me I am saying the pain is all in your head. It’s NOT ALL IN YOUR HEAD. It’s simply a physical reaction to a mental process. Just like when you get butterflies in your stomach because you get to date the love of your life. It’s as simple as that! If you need help, visit the TMS wiki and follow the program there like I did. It’s the best educational resource out there for chronic pain like Fibro. Thank you Miriam!I agree with you about repressing emotions and the anger, despair, stress we have experienced and are currently experiencing with so much devastation, war and hatred in the world. Not to mention the personal issues that plague us every day. 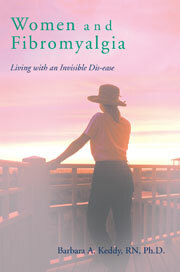 it reinforces my belief that fibromyalgia only affects the highly sensitive among us. Having a belief in our own strength to overcome all the daily challenges of living with fibromyalgia is easier for some than others. I concur that physical activity is absolutely necessary even if it is just a daily walk, increasing slowly to something more vigorous. But, I also understand that many are so incapacitated that the hurdles seem insurmountable, for example those with other struggles like multiple sclerosis, clinical depression and/or clinical anxiety. We have to be cautious about not seeming to be judgmental of those who cannot aspire to such goals. I am happy though that you have been able to use physical activity to overcome much of your physical pain. You are an inspiration to others. I am happy you are into weight training. Physical exercise for those of us with fibromyalgia is paramount. Many of us cannot do vigorous exercise but hopefully the vast majority can walk and do some form of movement like ChiGong or TaiChi. Many can increase their activity from mild to moderate and many even vigorous exercise and training. You seem to be one of those lucky ones. I wouldn’t suggest you disengage from your husband as that sort of repression does not help ensure a healthy relationship. Instead I believe you would do better with couple counselling. I agree it is important to take care of your own needs but living with a partner requires more than disengaging from your problems. Please take care of yourself and your relationship as well as that takes care of you too if it is a healthy one.